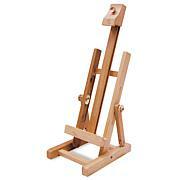 This is an inexpensive folding easel that I use on the table for my smaller paintings. It is easy to assemble (just place the slotted crossbar at the bottom) and you are off! The legs extend but they also flex so it is very easy to get it into any position you want. Also good for your tablets. The carrying case is an extra bonus. The best deal for the price. 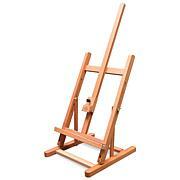 Like this easel for my needs can be set up full height or height for table top. My easel had some plastic clip parts broken off. Does not interfere with function, but do not appreciate receiving broken items. Have had some lousy packaging 2 other times and not pleased with that. The last 3 items the packaging was very improved and items well protected. 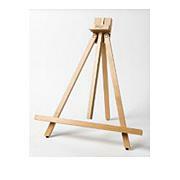 If you want a sturdy easel, this is not a product I would recommend. I expected it to be light in weight, but I did not think it would be so flimsy. Even with the top of the easel locked down, it still tilts from side to side. There is no way to tighten this down. 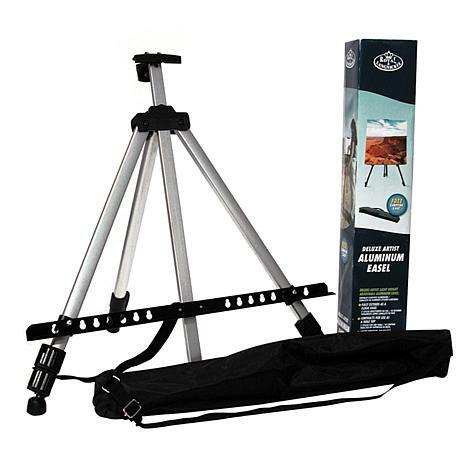 The tripod section below, even with the bar slid on the bolts, still moves around.Also, I have tested this on wood, concrete and carpeted floors, and it still flops around. I will be sending this back. 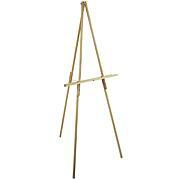 If you want a sturdy easel, I would recommend you stick with a decent wood easel.